I made my own fireplace and it only cost me a dollar! In our home, we do not have a fireplace. So my son asked me if we could make one. I don't have the space to make one out of boxes so I decided I was going to make one out of poster board. We headed to Dollar Tree, grabbed our poster board and headed home. We look through his art stash and picked out a few red, green, and black sheets of construction paper. Next, we went to go look for a glue stick, ruler, gray and brown paint, a pencil, and paint brushes. Draw out your fireplace layout on with a pencil. Some like to freehand with paint but not I! I erase more than a book editor. And I like to measure correctly. 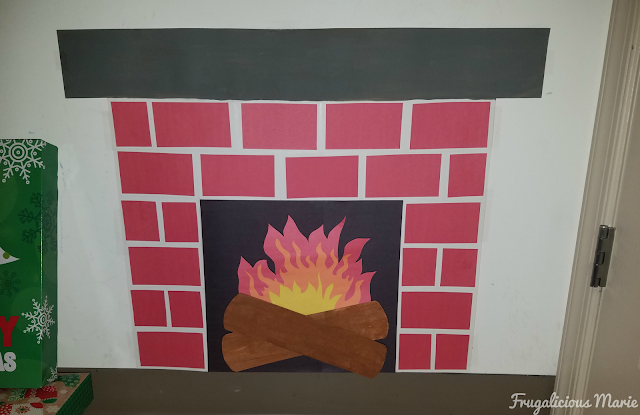 I cut out the red bricks using the red construction paper. I glued the bricks, leaving some space in between giving the illusion of cement. I let my 8-year-old son draw the fire and I cut it out for him. He did the fire in 3 sizes and in 3 different colors. I cut them out and then I then glued the fire cutouts together. I cut the sides of the poster board off as you can see from the picture above. I put those aside to make logs. I painted the top of the mantle a slate gray to resemble stone. I glued 2 pieces of black construction paper to the center of the fireplace. I made logs out of the extra poster board and painted them brown and left them to dry. I used my glue gun to glue the logs together and then glued the fire behind it. 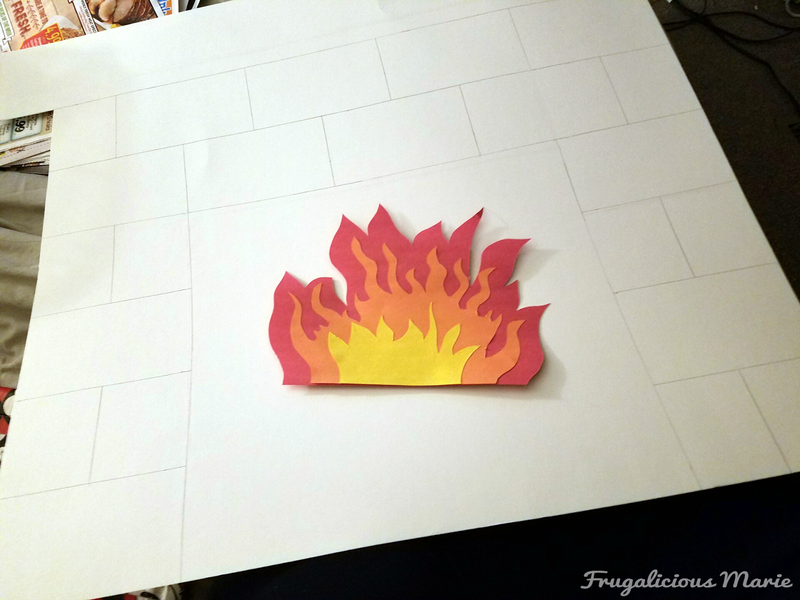 I wanted a pop-out look for the fire so with extra scraps of poster board and folded them and attached them to the back of the fire and glues them down. 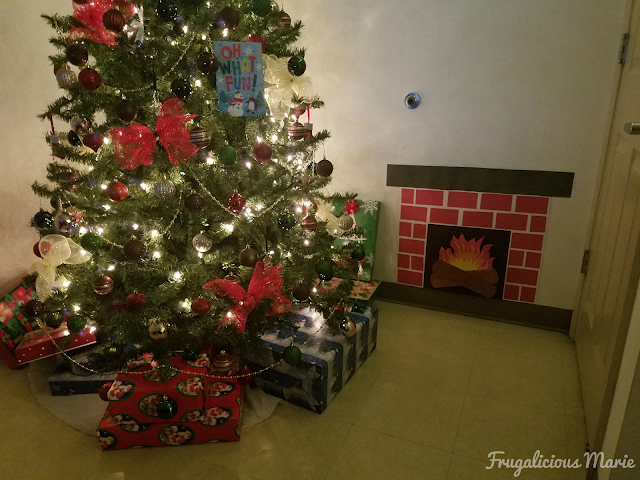 Find a place next to your tree to tape the fireplace at. It's a little small but it's cute and it's ours! It looks super cute with the tree lights on.